Gerald E. "Jerry" Bertolini, age 73, of Alliance, passed away to be with our Lord on January 19, 2019, at University Hospital Portage Medical Center after battling pancreatic cancer. He was born December 19, 1945, in Alliance, Ohio, to Pete and Mary (Spada) Bertolini and lived his entire life in Alliance. A 1963 graduate of Alliance High School, Jerry then joined the United States Army from 1965 to 1967, and served in Vietnam. 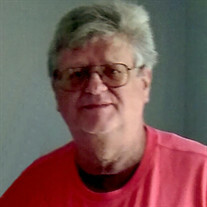 Jerry worked 24 years at Transue & Williams Stamping and retired from PTC Alliance after 15 years. A life member of both the Vietnam Veterans of America, Thomas Mangino Chapter 157 of Alliance and former Alliance VFW Post No. 1036, he was also a member of the Trentino Alpine Club, United Steel Workers, Boilermakers, Iron Shipbuilders, and Blacksmith Forger and Helpers. He loved playing cards and games with family and friends, and enjoyed coaching and helping with Hot Stove League Baseball when his sons were in grade school. Jerry had a booth at the Carnation City Flea Market where he spent many hours talking with all the people, shoppers and other vendors and also set up his booth at the Carnation Mall Sport and Baseball Card shows. All these things kept him busy after his retirement. Jerry will be fondly remembered as a loving husband, father, grandfather and friend. Survivors include his wife, Sheryl (Bandy) Bertolini of Alliance with whom he would have celebrated 50 years of marriage in May; two sons, Kevin (Mary) Bertolini of York, Pennsylvania and Brian Bertolini of Alliance; sister-in-law, Linda (Bissett) Bertolini; three grandchildren, Kylin, Devin and Kadin; one great-granddaughter, Athena; and many nieces and nephews. In addition to his parents, he was preceded in death by his sister, Gloria (Bertolini) Cotton and brother, Fred Bertolini. Services will be held at 11 a.m., Wednesday, January 23, 2019, at Cassaday-Turkle-Christian Funeral Home with Fr. Matthew Mankowski officiating. Visitation will be held one hour prior to the service. Interment will be held at St. Joseph's Catholic Cemetery. In lieu of flowers memorial contributions for Jerry may be made to St. Joseph Catholic Church 427 E. Broadway St. Alliance OH 44601 or to the charity of the donor's choice. Arrangements are by Cassaday-Turkle-Christian Funeral Home. 75 S. Union Ave., Alliance, OH 44601.